Every February in Albuquerque, the New Mexico Shriners put on a circus as a fundraiser for their charitable causes. The Shrine Circus takes place every year in Albuquerque's International District. Shriners International is a fraternity that supports Shriners Hospitals for Children, where specialty pediatric care and innovative programs help kids. Children up to age 18 get help with orthopedic conditions, burns, spinal cord injuries and cleft palate. Services are available regardless of ability to pay. 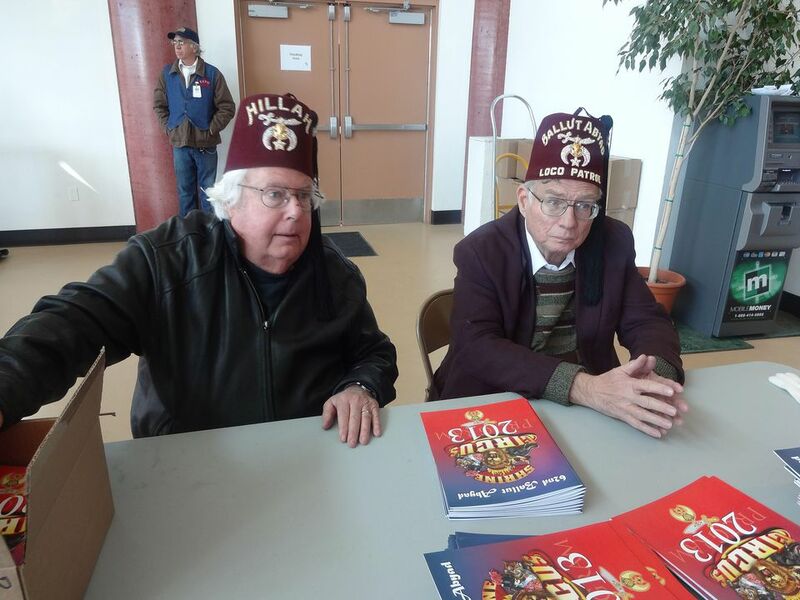 The Ballut Abyad Shrine in Albuquerque is a local Shriners club. Their annual circus raises money for children who need medical help at one of their hospitals. The Shriners also have an annual PGA Open in Las Vegas that raises money for children's medical care. The Shrine Circus has three rings, each of which serves as a showcase for entertainment. The circus takes place at Tingley Coliseum, on the grounds of New Mexico Expo, home of the New Mexico State Fair. The shows take place on Friday, Saturday, and Sunday, with about eight shows over the weekend. Shows are usually packed, so grab your tickets early if possible. Tickets can be purchased ahead, or at the door. If purchasing online, they can be ​mailed (if purchased early enough), picked up at Will Call before the show, or printed at home. Be sure to arrive early to your show, and bring cash for popcorn and other treats. There are cash machines on site, but they charge fees. Shows last about two hours. Several times throughout the circus, the clowns will come on stage. These clowns are preparing to walk the tightrope -- or not. The clowns came out three times over the course of the show. The first Albuquerque Shrine Circus took place on Tingley Field October 23-25, 1951. Prominent businessman Carl Feak was the Shrine leader (potentate) for the first Shrine Circus. An animal trainer works with a variety of animals in the ring. Here, dogs line up to do a line dance. During other performances, llamas, donkeys, and ponies perform while a dog does tricks on the pony's back. The acrobatics at a circus doesn't just happen overhead on the trapeze. Some acrobats can stack chairs and climb them at the same time. Of all the feats of derring-do that takes place at the circus, this one may strike the most fear in spectators! Other acrobats include young ladies who climb ropes and twirl, hang upside down, and perform other amazing feats. Elephants are highly intelligent creatures. These three Asian elephants perform a line dance for their trainer. Tightrope acrobats combine the skills of balance, strength, and courage by walking on a taut rope. These performers took the tightrope act up a notch by standing on balanced chairs. This acrobat walked the inside and outside of a wheel as it slowly spun through space. BMX biking, or bicycle motocross, is a fairly new Olympic event. BMX biking requires quick reflexes, strong legs and the ability to move like an acrobat. The BMX bikers at Shriners Circus flip, twirl, race and even carry a young lady around, all while in a small circus ring. The tigers are always amazing in both their intelligence and their patience, sitting while other tigers perform. Their fascinating qualities usually make them one of the most popular shows at the circus. During intermission and again at show's end, elephant rides are usually available. Parents may purchase tickets for their children to ride at intermission, and get in line. Lines can be long -- be prepared to potentially have to wait until after the show. (Time-saving tip: buy your ticket at half-time.) Once atop the elephant, children got to walk around the circle a bit on top of the elephant. Here, an elephant trainer waits for the next child to climb atop the waiting elephant.